KEEPER OF THE SNAILS: Interview with Alistair Bruce: author of Wall of Days. 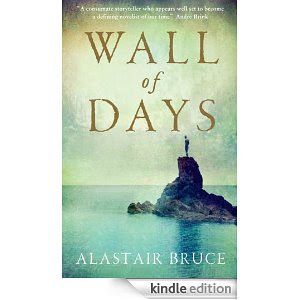 Interview with Alistair Bruce: author of Wall of Days. Alastair has kindly agreed to answer a few questions about his book, which considering how busy his life must be at the moment, is very good of him. Alistair Bruce was born in Port Elizabeth, South Africa in 1972 and grew up there and in Cape Town where he went to university, gaining an MA in Literature. 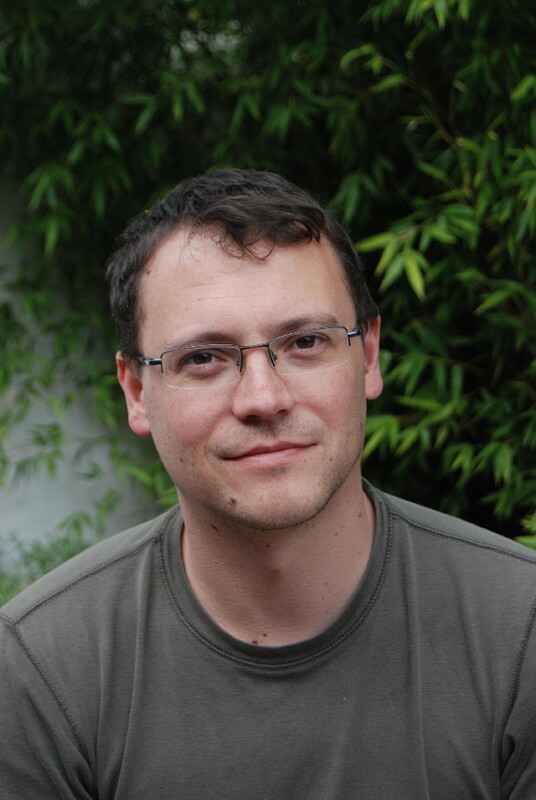 After a spell in the US he emigrated to the UK in 1997 and started working in electronic publishing. He currently works for a large technology company in London and is using the long commute to work on his second novel. He is married, has an 18 month-old daughter and lives in Windsor. Questions about Wall of Days. Alistair Bruce: It was very gradual. I wrote a short story in my late teens or early twenties about a man living in a cave who meets a stranger. The story explored themes of isolation and was set in a seemingly post-apocalyptic world. There was something about the story that drew me back to it and I began to explore the personality and history of the cave dweller in more detail. The overall plot of the novel – exiled leader returns to find the unexplainable – has remained the same but the novel has evolved greatly within that structure. I started the novel in the late 1990s though most of the writing was done a long time after that. There were other events going on in the world in the mid to late 1990s that effected my thinking, specifically events in Rwanda and Bosnia and South Africa’s Truth and Reconciliation Commission. CD: What did you set out to achieve (if anything) when you wrote your novel? AB: I wanted to write a novel. There was no broader, more noble goal than that. I had written a few short stories and I simply decided that it was time I got down to a bigger project. CD: What sort of research did you do? AB: The type of novel it is didn’t require much research. There was a lot of reading around the novel that I did but it was less research than simply reading that happened to influence my writing. I read a lot about bog bodies, for instance. There is fact checking you have to do of course: do your measurements make sense, how do you harvest peat, how long does a particular amount of it burn for, how much wood do you get from a tree of a particular age, and so on. CD: What effect does having a scientific background and interest have on the way you write? AB: I’m not sure if a couple of years of physics and mathematics at university qualifies me for a scientific background! But I do have an abiding interest in nature’s building blocks and in evolution. Wall of Days has plenty of metaphors about history and stories buried in landscapes so I suppose on that level it has had an impact. On another level the attention to detail that those disciplines require has stayed with me (not that you don’t need this in other fields), which is partly responsible for the sparse prose style of Wall of Days. I can honestly say I have not thought much about this aspect though up until now. CD: I see from your biography that you come from South Africa and now live in this country. Where did you write this novel? Did this have any bearing on how it turned out? AB: The story I mentioned was written in South Africa but the novel in its entirety was written in the UK. I can remember sitting down to write in Colchester, Essex on a rainy day, wondering how to start, and writing the first sentence, “It has been raining here for ten years.” The ideas of exile and displacement that the novel contains, are also related to my emigration. CD: Was the settlement of Bran completely invented or did you have somewhere in mind as a basis? AB: I had nowhere particular in mind but the settlement and countryside around it takes elements from a variety of sources: the landscapes of the west coast of South Africa and the Western Cape, towns of the American west in the nineteenth century, and Kafka’s Castle and Penal Colony. CD: The book could be regarded as a dystopian one based in a world that has undergone global warming. Is this what you had in mind? And what views do you have about global warming? AB: The story is set in a world where sea levels have risen and covered up large parts of previous civilizations. However, it is not about global warming, no matter how passionately I might feel about it. Global warming, if anything, is a device I have used to create a world where cultural knowledge and history have largely been eliminated, a world where only here and there do indications of a past raise their heads above the surface. Any statements the novel may make about global warming are tangential at best to the thrust of the story. AB: I’m afraid you might not like this but when I was about ten I would earn a bit of extra pocket money from my father by finding and killing snails in the garden. I earned quite a bit. But I can say that I have not deliberately harmed any snails for many years now excluding the few I ate a while ago. AB: I returned home from the hospital at about one in the morning after my wife had given birth. Already as proud as I thought I could be, I found an email waiting in my inbox all but confirming I was going to be published. As days go it doesn’t get much better. AB: Other than the day I just mentioned? At the risk of sounding like a self-help book, life changes every day. Events like emigrating, having a baby, and getting published are probably the biggest for me. AB: I have become quite soppy since becoming a parent. Any kind of violence against children or pain suffered by them I find hard to take and understand. On a different scale I still find the Rwandan genocide deeply disturbing. Depending on whose numbers you believe up to one-fifth of the country’s citizens were killed, and most of these in the space of just three months. The inability or unwillingness of the international community to do anything to stop it, in spite of knowing about the threat of genocide months in advance, should continue to be a source of shame. I don’t think, even today, we have fully acknowledged the horror of a genocide against which events in the same mid-1990s timeframe in Serbia and Bosnia pale by comparison. AB: My knees. Running is beginning to be a bit painful. AB: It is probably different for everyone. To rephrase a song my daughter likes: If you’re happy, you will know it. AB: Wish I could go back to sleep. Interesting interview, as always, Clare. Do hope you're not mourning the snails! Yes - difficult to think of a better day...or better associations! I very much enjoyed, Wall of Days, dark and moving. Made me think of Joseph Conrads' works. His daughter is right with the song. Interesting, Anonymous. Conrad didn't come to my mind, to be honest - but maybe that's just because I associate Conrad with a steamy jungle. Do we know it when we're happy? Another interesting thought.